January 25, 2018 – Cruise.com, a subsidiary of Omega World Travel, Inc. and one of the Internet’s leading cruise sellers, announced that it has been awarded Royal Caribbean’s 2017 Online Partner of the Year Award. This highly prestigious award is a result of an ongoing committed partnership between the two brands coupled with unique marketing strategies that have helped to expand the market and create increased demand for cruises. Cruise.com has repeatedly been recognized for its unrivaled personal service as well as for offering an exceptional value to its customers. “In addition to the highest level of quality service and expert advice, we also offer the best value for your money along with user-friendly tools such as our mobile app. We continually strive to go above and beyond what consumers may find at standard online agencies and pride ourselves as being an innovative agency operating in a high-tech virtual atmosphere,” said Anthony Hamawy, President of Cruise.com. 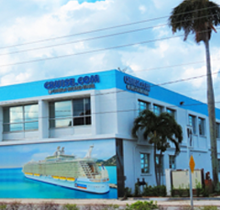 Established in 1998, Cruise.com is one of the Internet’s largest cruise specialists. Cruise.com offers comprehensive itineraries and ship details for more than 70 cruise lines worldwide at the most competitive prices and is one of the top sellers of cruises on the Internet. Cruise.com is a wholly-owned subsidiary of Omega World Travel, Inc. Travelers interested in booking their cruise can call 866-401-0895 or visit www.cruise.com. In addition to cruises, Cruise.com’s full-service team offers a wide menu of other services including a variety of land packages and tours, shore excursions, vacation homes and villas through both https://www.cruise.com/ and its other websites, www.LuxuryTravelTeam.comand www.HomesandVillas.com.